The rise of the entrepreneurial space movement has brought about many changes to conventional aerospace industries, and perhaps the most visible aspect is the (not-so-) humble rocket launch. The United States is now witnessing more launches than ever, by multiple private companies—a trend which is echoed across the globe. In fact, in 2017 there were more launches of privately-funded rockets than there were governmental launches worldwide. This represents the first time in history that that balance of power within the rocket launch landscape has shifted from government to the private sector. A sometimes overlooked component of a rocket launch is the backdrop to the drama itself: the launchpad or launch complex. While historically these sites were exclusively owned and operated by government and military bodies, the relationships between rocket and launchpad have begun to shift. With these changes come new questions about location, legislation, and liability—questions which will demand answers moving forward. Today’s commercial rocket companies can choose to launch from a handful of well-established, government-owned launch sites across the country. Prior to the dawn of the 21st century, U.S. rockets were launched from a few government-owned facilities on the Atlantic and Pacific coasts. Most people are familiar with Cape Canaveral and Kennedy Space Center—these vast swathes of rocket-ready launch complexes together form what is known as Florida’s Space Coast. Cape Canaveral Air Force Station (CCAS) is a federally-owned station operated, unsurprisingly, by the U.S. Air Force. For decades, CCAS was the East Coast site of choice for military and Defense Department missile launches, and was also the launch site for many of NASA’s monumental missions (including Alan Shepard’s MR-3 flight in 1961, the United States’ first-ever human spaceflight). Some twenty minutes west of CCAS, on Merritt Island, sits NASA’s Kennedy Space Center (KSC). The one-time home of both the Apollo and Space Shuttle programs, KSC has played a major role in the history of crewed spaceflight. On the Pacific Coast sits Vandenberg Air Force Base (VAFB), another government-owned launch complex and the site of many Department of Defense missile tests. While VAFB was selected in the early 1970s as the West Coast launch pad for the Space Shuttle program, it is better known for its satellite launches and convenient access to polar orbit. In the absence of active launches from government space programs, the expansive (and expensive) launch complexes of Florida’s Space Coast and California’s VAFB are renting out space to commercial tenants—most notably, SpaceX, which has signed leases with both NASA and the Air Force and now maintains launch operations on each coast of the United States. In 2014, SpaceX and NASA signed a 20-year property agreement wherein SpaceX is granted use and operations of KSC’s historic Launch Complex 39-A. This agreement is part of NASA’s efforts to bridge commercial with government space initiatives, and bring active launches back to Kennedy Space Center. SpaceX also has leasing agreements with the USAF, including rights to Space Launch Complexes 4W and 4E at Vandenberg and SLCs 13 and 40 at Cape Canaveral. SLC 40, which was damaged in September 2016’s Falcon 9 explosion, has now reopened for business and is SpaceX’s launch site of choice for their next ISS resupply mission, scheduled for December 12th. The advent and upswing of commercial spaceflight—and the emergence of privately-owned spaceports—will require a shift in regulatory frameworks. Beyond government-owned launch complexes, today’s launch companies have a number of private-sector pads from which to choose. For space startups with fewer resources than SpaceX or United Launch Alliance, a commercial launchpad represents a less expensive—if less high-profile—platform from which to launch their goods. These non-federal launch sites, compellingly dubbed “spaceports,” must be licensed by the Federal Aviation Administration before they can host an orbital rocket launch (suborbital launches require a separate, vehicle-specific permitting procedure). 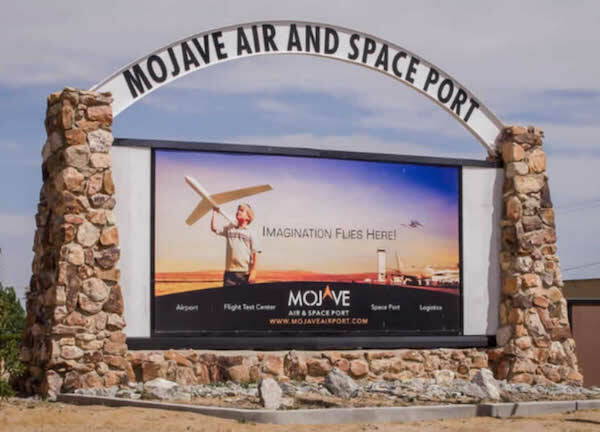 Since 1996, the FAA has issued ten active launch site operator licenses to entities with facilities in California, Florida, Virginia, Alaska, Texas, Oklahoma, and New Mexico. This uptick in the number of legally-licensed private spaceports underscores a broader shift within the space industry—namely, a shift away from government exclusivity. While it’s true that big-name companies like SpaceX have been launching from federal complexes like Cape Canaveral, vertically-launched orbital rockets are not the only launch vehicles on the market. Today’s entrepreneurs are developing a wide variety of ways to break through Earth’s atmosphere, from reusable suborbital vehicles, to space planes, to high-altitude balloons. It’s worth noting that each of these vehicles compounds the increase in space- and near-space traffic, and it’s creating a logistical challenge for the FAA. After all, every rocket launch necessitates a shut-down of all other air traffic in the area—as launch cadence picks up across a growing number of launch providers and commercial spaceports, this will cause major problems for commercial airlines. In the years ahead, how will rocket launches and space flights be scheduled to accommodate a growing number of missions and players? The solution will require some legwork and collaboration between the evolving space industry and regulatory bodies like the FAA. Per Jim Ball, founder and principal at Spaceport Strategies, “space transit needs to start seeing the same regulations and infrastructure support as other travel.” For their part, the FAA has asked for the commercial space industry’s help in establishing categories of emerging launch vehicles and spaceports—this will enable the Administration to streamline their safety guidelines and procedures moving forward. 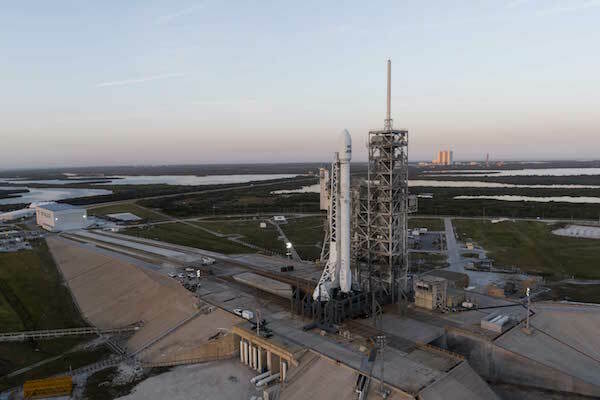 Bolstered by state-level legislation, the near future will see the emergence of more spaceports, niche launch services, and continued fine-tuning of rocket launch legalities. In order to attract new companies to local spaceports, several U.S. states have enacted state-level “space acts” designed to encourage the growth of the entrepreneurial space industry on a regional level. These “regulatory encouragements” often include provisions releasing launch operators from liability in the event of a major loss or other catastrophe. This brand of lenient state-level regulation is no doubt appealing to private launch providers, especially when contrasted with the very expensive liability insurance companies must carry when launching—or landing—at sites like Kennedy Space Center. Georgia is one such state hoping to cater to the entrepreneurial space scene. 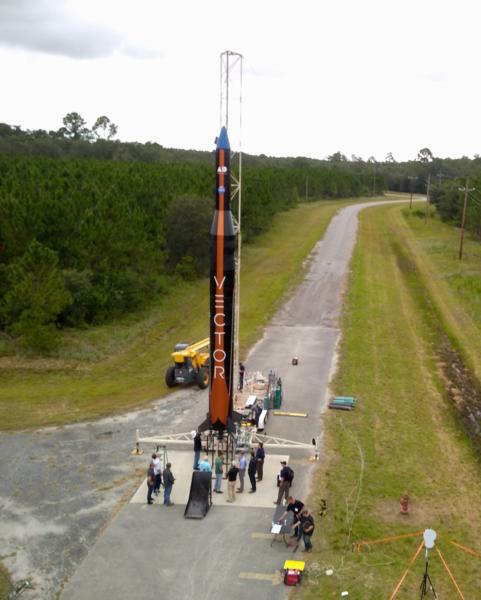 Space Angels-funded Vector Space Systems’ successful Vector-R test launch in August of this year took place at “the intersection of two deserted roads in a remote, wooded section” of the state. While the FAA granted approval for Vector’s low-altitude test flight, the Administration has yet to license the area—the location of proposed launch facility Camden Spaceport—to begin launch activities. When their commercial smallsat launch services are brought to market in 2018, Vector will need to launch their rockets from an FAA-licensed site. After the success of August’s bare-bones test launch, however, the company has proven that they don’t need all of the heavy-lift-ready infrastructure that comes with established complexes like KSC or VAFB. This sort of mobile preparedness (envision a pop-up rocket launch) means Vector could launch from any site which has received an FAA license, but which hasn’t yet installed the massive launch pads you’d see on Florida’s space coast. In short, this ability would cut costs, bypass popular launch site backlogs, and result in faster turnaround for Vector’s smallsat customers. 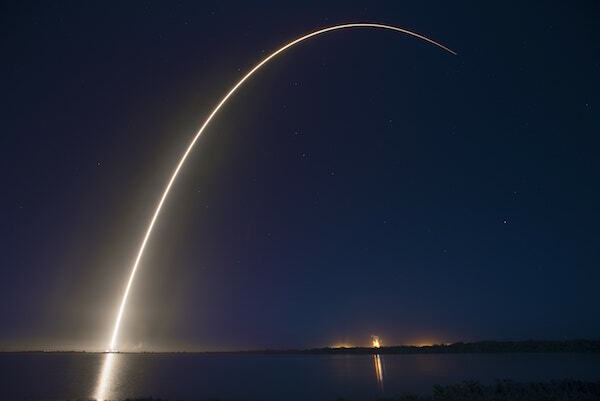 The rise of the private launch industry has sparked a need for modernized launch infrastructure. As commercial rocket launches become more commonplace, and as launch cadence becomes increasingly frequent, entrepreneurial space companies are likely to take advantage of privately-owned spaceports in order to get their vehicles off the ground. While the infrastructure inherent to legacy government launch complexes, like those operated by NASA and the U.S. Air Force in California or Florida, may be a necessity for heavy-lift orbital rockets, the private space landscape has evolved to include myriad other space-faring vehicles—many of which can go without the pomp and circumstance of large federally-operated facilities. As with other facets of the evolving entrepreneurial space industry, extant government regulatory frameworks will require some revamping in the face of new technologies and increased launch cadence. While state-level legislation, geared towards encouraging growth of the sector, will likely result in new pockets of regional spaceflight industry, reasonable federal oversight of space traffic and launch schedules will be necessary in order to facilitate sustainable launch frequencies.